Gamesa, a leading wind energy company, has announced that it will be delivering some of its innovative wind turbines to projects that are taking form in India. The Indian government has begun showing strong support for wind power, highlighting the economic prospects of this form of clean energy as well as its environmentally friendly nature. Gamesa’s wind turbines will be installed at wind farms located in Tamil Nadu, Karnataka, and Rajasthan. 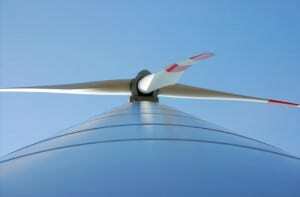 The company will be delivering approximately 46 megawatts worth of wind turbines to projects in India. In all, Gamesa will be delivering 23 wind turbines that will be installed at three separate wind farms throughout India. These wind farms are considered small-scale, generating electricity that is either used at the wind farm itself or funneled to a local community. Such wind farms have been growing more common in southern parts of India, where the demand for electrical power is somewhat higher than its supply. Many of the small-scale wind farms that are emerging in southern India are supported by companies that have a great need for electrical power. In some southern states, businesses are having trouble acquiring the energy they need to operate effectively and efficiently. In order to solve this problem, they have begun turning to renewable energy, which is beginning to serve as a viable alternative to conventional forms of power. Wind energy, in particular, has become quite popular among businesses looking for new energy solutions. India is currently considered one of the fastest growing wind energy markets in the world. The country has plans to add as much as 80 gigawatts of wind capacity to its energy portfolio by 2022. Companies like Gamesa are expected to play a major role in the success of this plan, as they will provide the wind turbines and support needed for the country’s wind energy capacity to continue growing.